"Empowering People through Public Service"
The mission of the College of Public Service is to educate students from diverse backgrounds for outstanding professional service and to develop local, national, and international innovative leaders in the professional academic disciplines represented in the School of Social Work, the Department of Public Policy and Administration, and the Department of Urban and Regional Planning. 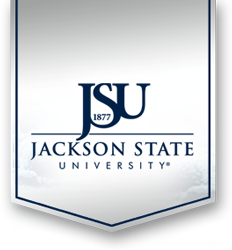 The Dean’s Office is conveniently located at Jackson State University’s (JSU) Downtown Campus, 101 W. Capitol Street, approximately .3 miles from the University’s Main Campus. The College has a school, departments, and programs located at three sites across Jackson: Charles F. Moore Building (JSU Main Campus), Downtown Campus (101 W. Capitol Street) and Universities Center (Ridgewood Road).